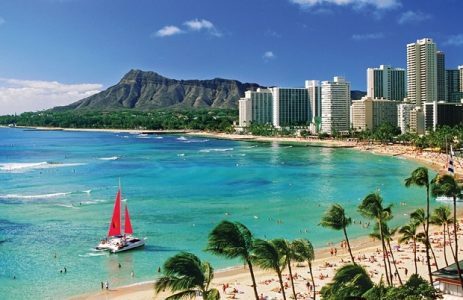 Oahu offers a great mix of experiences, from surfing blue waters to visiting historic sites to tasting authentic culinary dishes, all set against beautiful Waikiki Beach and exciting Honolulu. Now is the perfect time to indulge on Oahu at a variety of local events: Like the Hawaii Food & Wine Festival, October 26 – 30, 2016 and the 75th Anniversary Commemoration Ceremony of Pearl Harbor, December 3 – 10, 2016. Save up to $275 per booking on vacations of $3,000 or more. In addition, SkyMiles® members earn up to 7,500 bonus miles per person, in addition to credited flight miles, with a flight and hotel package. Call Susan in our leisure department at (678) 420-2510 | Toll-Free: (800) 950-2950 or E-mail:vacations@teplis.com to plan your Hawaiian excursion.